I provide a wide range of services, and I pride myself in making the music for your event as stress and worry free as possible. By providing timely responses, in-depth communication, punctuality, flexibility, and friendly service that's centered around you, you can be confident that I can help make your event truly special! Send me a message at nikolaygavlishin@gmail.com. I'd love to hear more about you! My standard wedding package includes 20 minutes of seating music before the ceremony, 1 selection for the procession of the bridal party, 1 selection for the procession of the bride, and 1 recessional. I provide both traditional and contemporary music selections, as well as the option for me to arrange a song of your request. Additionally, I can tailor my package to suit your vision for your special day. ​Cocktail hours, rehearsals, receptions, and additional song requests can also be added on. Guitar/violin and guitar/voice duos are also an option. I am available for a wide variety of events, including dinners/receptions, parties, corporate events, birthdays, worship services, memorial services, etc. I have a large repertoire list, and I can be flexible in the music I play in order to match the mood of your event. ​My musical selections include music from the Renaissance and Baroque, works by Bach, Mozart, Beethoven, compositions from Spain, Italy, and Latin America, as well as arrangements of contemporary Pop and Rock tunes. I have a number of creative and unconventional concert programs​. My repertoire includes provocative modern classical pieces, haunting Russian/Eastern European works, well known standards, and unknown compositions from popular composers. 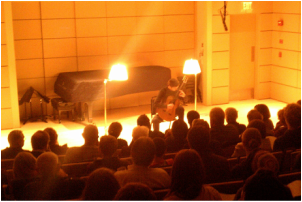 My unique perspective on the classical guitar is sure to make the performance a memorable one. 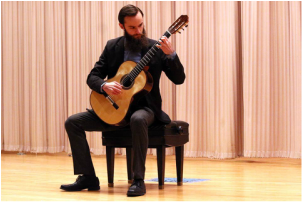 I am also available for hire as an accompanist, on both classical guitar and acoustic guitar. If you are a vocalist or instrumentalist that needs a guitarist for your own performance, I would love to work with you.